Stephanie, A History: Dress sale that benefits a charity? YES PLEASE. Live in the Austin area? Love vintage dresses? Love donating to charities? Love buying vintage dresses knowing that the proceeds go to charity? Then this is the post for you, my friend. 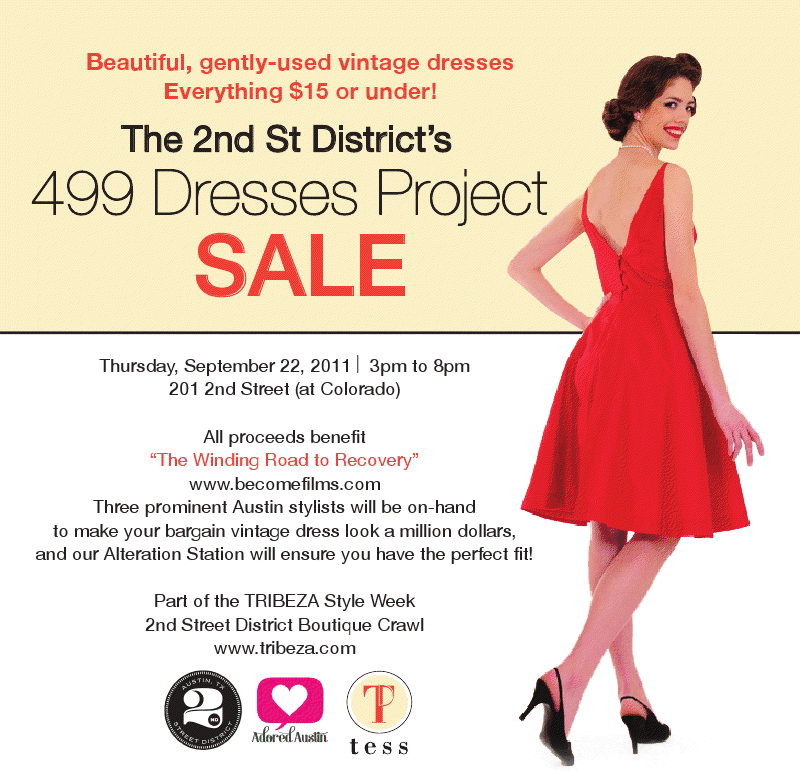 My dear friend Andrea is involved with a project called 499 dresses. 499 dresses is a project that raises money for the creation of The Winding Road Recovery, a film about disabled returned veterans who have turned to cycling as a means to overcome their injuries and kickstart their own recovery. Be sure to 'like' 499 Dresses on Facebook and follow them on Twitter. 499 Dresses will be having a sale this Thursday September 22 at 2nd and Colorado in downtown Austin from 3PM-8PM. If you have a spare few minutes and you're in the area, I urge you to stop by. There will be some fabulous dresses there, and you can leave with a lighter pocketbook knowing that your money is helping out a fantastic cause. (If you can't make it but would still like to donate, click here.) The best part? All dresses are $15 and under!